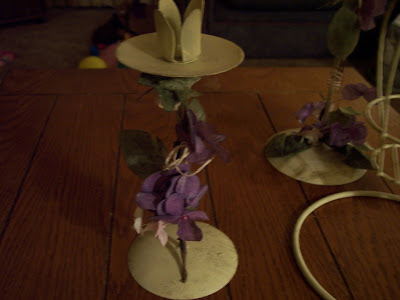 I have a few little treasures to show you from some past thrifting adventures. Most were bought at thrift stores. I don't know if all the Salvation Army stores across the country do the same type of colored sticker pricing but, the ones around here are now rotating the colored stickers each week instead of daily. And they don't put any more merchandise of that weeks color out onto the sales floor until the week is over. So, if you don't get to the store on the first day the new sticker sale starts you generally might as well not even go in. Well, maybe that is just me because I only shop the 50% off sticker of that day. I have one Salvation Army store that is pretty close and then the next one is about 20 minutes away. Well, I thought I would head up to the further one because I was just totally unhappy with my regular store. I didn't really expect to find anything since it was on a friday. So, that weeks sticker priced items would be basically all gone. This particular store does "Friday and Saturday" buy any 5, whatever the sticker color for that week was, for $1.00 each item. No matter what the original price is! So I went hunting. I stalked the aisles with the eye of a super cheap expert. I looked over. I looked under. I looked around. I even looked sideways in search of my 5 items! You had to have increments of 5 to get the sale price. Personally, I think this is a brillant idea. It's the end of the week and you want to move as much as you can of that sticker price before you restock the shelves. The SA store by me only does "5 pieces of clothing for $5.00" of that sticker price. Here are the pieces I got for a buck each. This pretty bowl is by W.S. George and is called Canarytone. Once again, a smaller Ironstone tureen with no ladel. But, I can live with that, especially for $1.00! This set is a 3 piece set and was priced as a 3 piece set for $5.99. I got it (all 3) for $1.00! The cashier said, "Where did you find these? ".I told her back on the shelves (DUH). She started grumbling to the other cashier. Apparently someone put this set out and they weren't suppose to until the green sticker days were over. 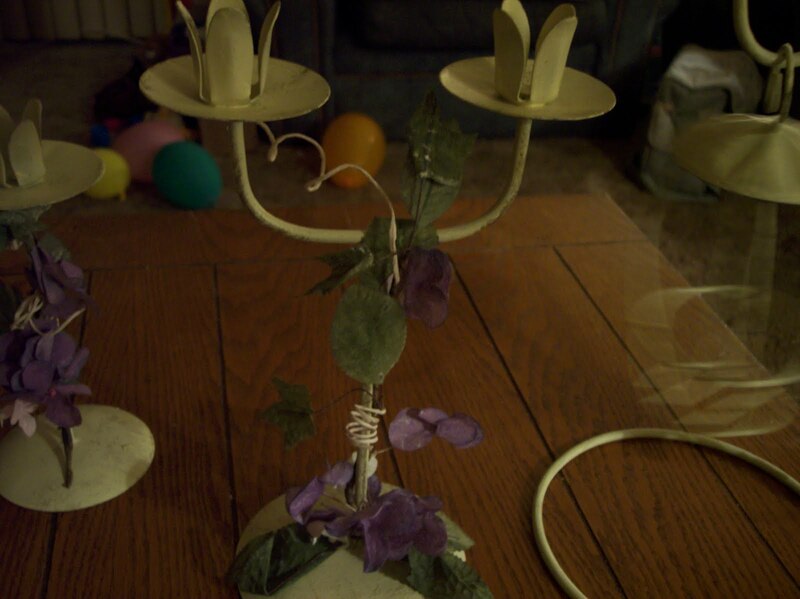 They are metal painted candle holders with some purple flowers. They have the brushed on bronzy paint color to make them look shabby. 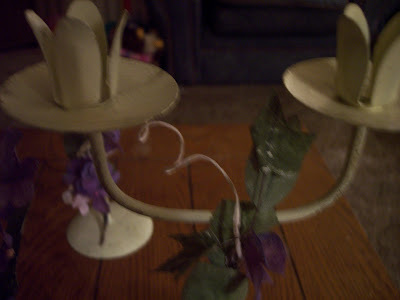 I am not sure if I am going to repaint them in a solid white or sagey green or just leave them this way. I bought them to set out on the patio. This last item I got awhile back. It is a milkgalss Avon egg with a scented candle inside. 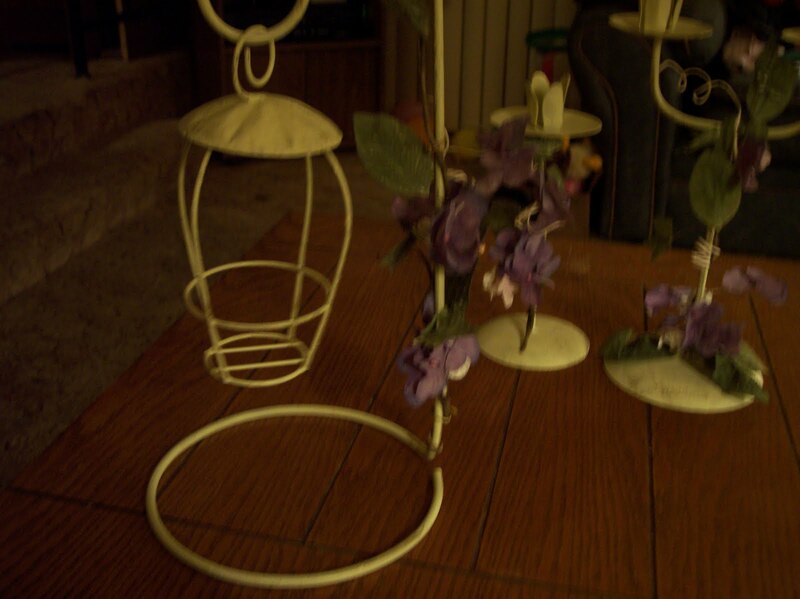 So, these are my little white thrifty treasures. 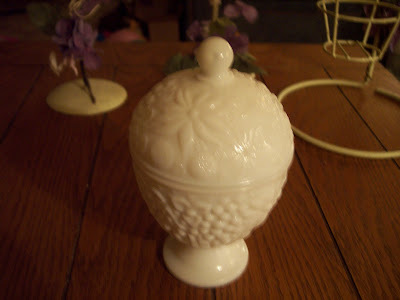 Now stop by Faded Charm and check out other folks white things for White Wednesday! And then tomorrow head over to Tales From Bloggeritaville for Thrifty Thursday! 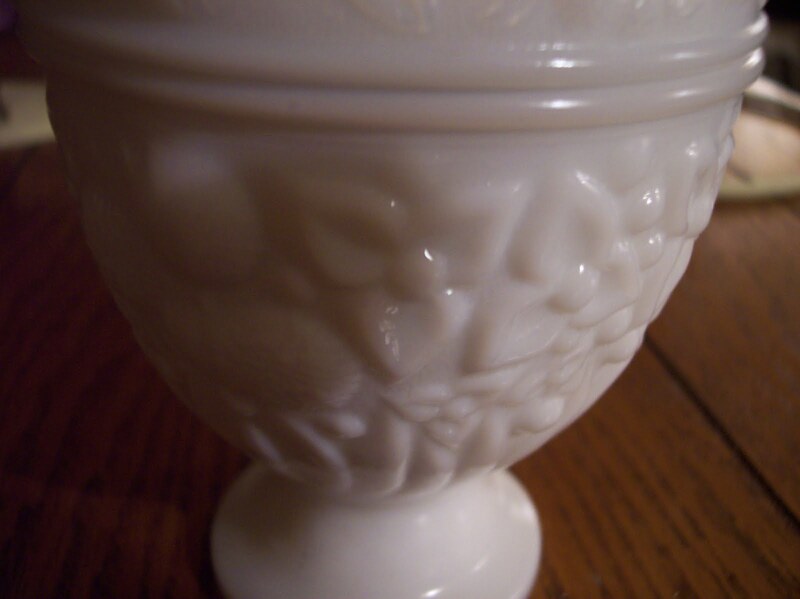 The little tureen is a steal! That soup tureen is very nice... and so is its price. Great finds! very nice treasures. love the lil tureen. So many pretties! Your bowl would look right at home on my tablescape this week. Love the rose. 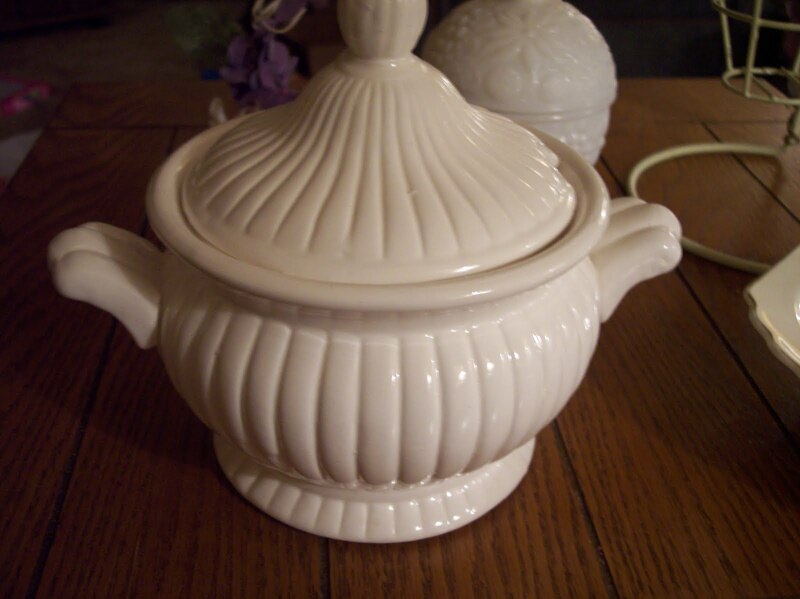 Pretty tureen - you can find some ladles on eBay. Nice score. Good for you with your treasures. 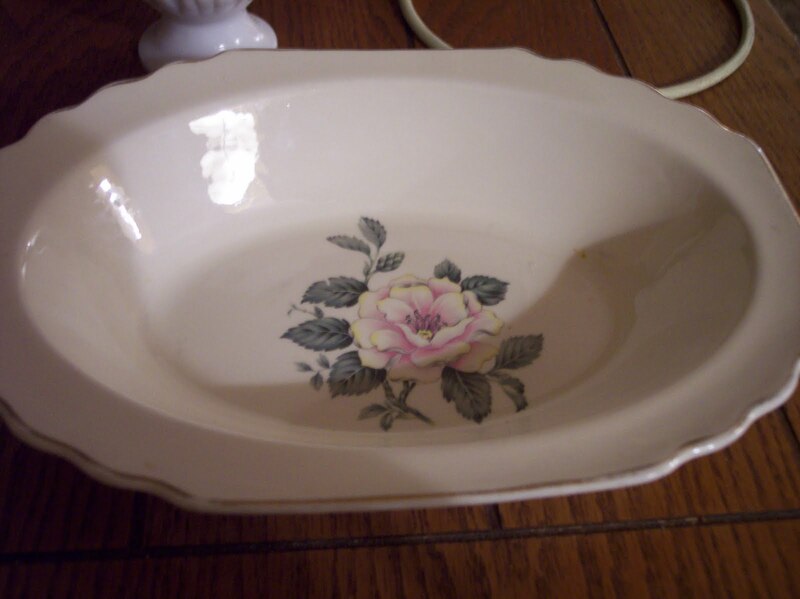 My favorite is the dish with the rose--so pretty. It will go with lots of diffent white place settings. Happy Wednesday. 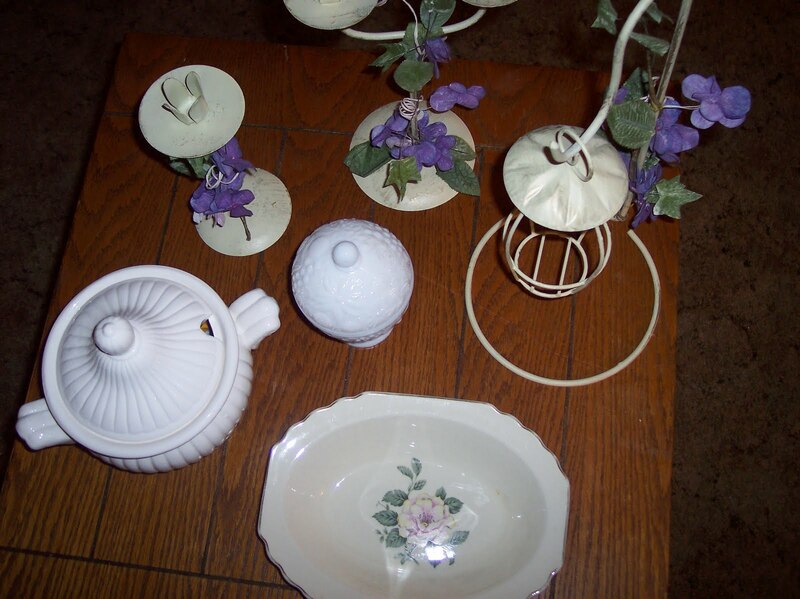 Diann, you found some really nice buys for a dollar...of course, the little tureen is my favorite. 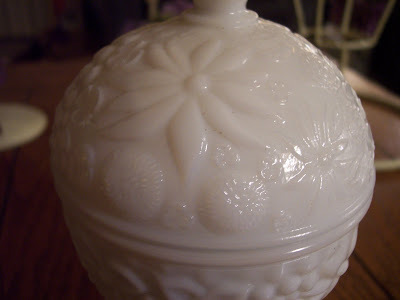 What great finds..I love the little tureen. You got great finds -- enjoy them of course. Two covered dishes are a big score in my book. 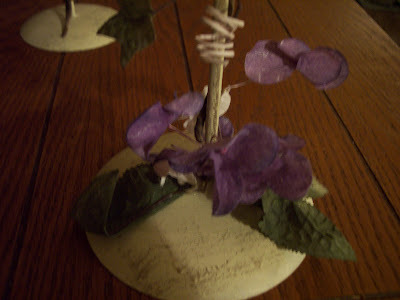 -- Jane F.
What beautiful finds! I especially like the tureen. Fab finds! 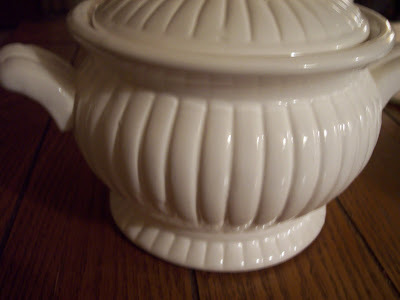 I love the tureen too. I can never figure out the coloured stickers at the Salvos either - they seem to change the way they do them all the time!